The Asylum are not a company to pass up an easy buck, and exploiting 2012 fears, along with mockbusting the big budget “2012” (from 2009) was a no-brainer for them. They liked the idea so much that they made three films with 2012 in the title, in fact. Dare I review them all? Not if they’re all down there with this one. Brian Krause, who was the love interest on “Charmed” and has jobbed around since then, is Professor Kelvin, an astrophysicist in charge of…NASA maybe? He certainly seems to have a lot of people defer to him, but his actual job is shrouded in mystery. Or I wasn’t paying attention, which seems equally likely. Anyway, some sun hundreds of light years away goes supernova, and the (POINTLESS SCIENCE BUZZWORD) is on its way to Earth to kill us all – every now and again, cutting away from the “action”, you’ll see the wave destroying a planet or a moon. So, we have three strands of film. 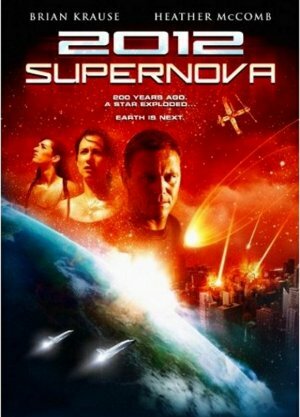 First is Kelvin trying to figure out a way to stop the supernova from destroying the Earth; second is the supernova heading our way, causing all sorts of environmental disasters on Earth, for some reason; third is Kelvin’s wife and daughter driving about, trying to get to safety. Despite having seen a virtually identical B-story in other Asylum films, this one just felt particularly boring, like they might as well have replaced all their scenes with a blank screen that had the word “FILLER” flash up from time to time. If you thought the conclusion of the film was going to be that three non-Shuttle pilots were going to have to fly the Space Shuttle, completely unaided, up to the International Space Station, dock it and fire nuclear missiles to create some sort of extra shielding for the magnetosphere, then I doff my cap to you, sir (or madam). I sort of expected this film to go in a very different direction. Quite a lot happened in the early running, so I thought there was going to be a disaster early on, and then the cast were going to have to survive the changed Earth. No such luck, as the film just kept on going, like it wanted to pull the trigger on something exciting but didn’t have the time, money or expertise behind the camera. Booo! But what we do get is, every five minutes or so, someone restating what needs to happen, very simply, in case you had drifted to sleep and needed bringing up to speed. And a lot of use of flip-phones, which there was no excuse for even in 2009. What is it with Asylum and flip-phones? Did they buy a box full a few years before and decide they had to use them all? This movie is a bit of a test of your patience. So little happens that it almost defies you to turn it off – you know how it’s going to end, you’ve got a fairly good idea of which members of the cast are going to survive – but if you’re like me you just carry on. There’s some fun to be had spotting the re-used sets, though. 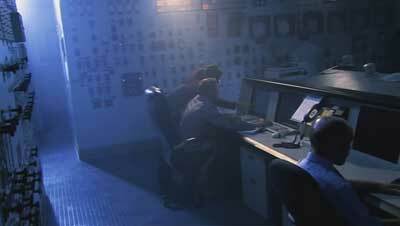 The main NASA area is a wall of dials and buttons which also doubled as the inside of a submarine in “Mega Shark vs. Giant Octopus”, for example. Also, there’s a couple of Asylum regulars in this one, including my favourite, the excellently named Londale Theus, also from “Transmorphers: Fall Of Man” and “Airline Disaster”. Anyway, unless you’re really desperate to see every film with 2012 in the title, I’d probably give this one a miss. It’s d-u-l-l. I tried to keep count and got to 4 before what might be considered an “adventure” became a confusing concept – but never mind trying to figure out if the title is a bit misleading, because it’s one of the stranger and more fun Asylum mockbusters we’ve yet to review! Adrian Sinbad, a Qatari shipping magnate played by a white American, has a heart of gold. He’s discovered some super-deep-sea oil, or something (never seen a film where that happens before, so far so good), and is also investing heavily in environmental stuff as well. Good work Sinbad! Anyway, he’s got a tanker with 130 million gallons of oil on it which gets hijacked for a $10,000,000 ransom. Hold on, 130 million barrels? The Gulf of Mexico spill, which went on for weeks, was only 4 million! How big a tanker would you need to carry all that? Anyway, we mustn’t dwell on such things, for there is much more film to discuss! In the first 12 minutes of the film, not only does all this happen, but Sinbad and a few of his co-workers fly out in a helicopter to the tanker and see it…get pulled under the surface by a gigantic sea creature! 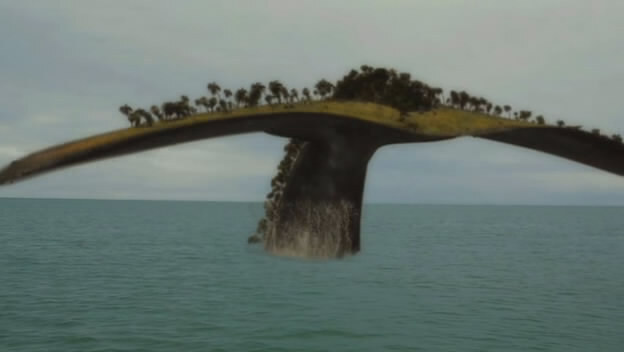 This is almost insanely fast by Asylum standards, and when the helicopter is also sucked into the ocean, only for Sinbad to wake up on a mysterious island which is actually the back of a small-country-sized whale, things start to get odd. This film is apparently the mockbuster for “Prince Of Persia”. 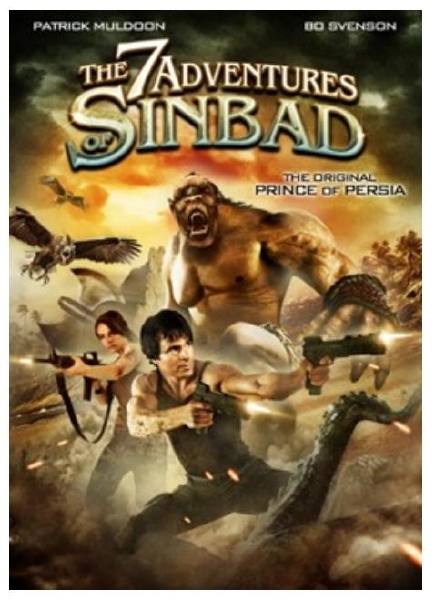 It has the alternate title “Sinbad, Prince of Persia” and the DVD I have has the hookline “The Real Prince of Persia” – that the film isn’t set in Persia, and stars a guy who neither looks nor acts particularly Persian, appears to not be a particular problem for our friends at the Asylum. Of course, in their grand tradition, they’ll rip off the name or the plot but not both at the same time, so in this one we get a plot which appears to be sort of lifted from “The Odyssey”. Sinbad has to deal with giant birds and a Cyclops and crabs and Sirens and super-squids and having the island he’s on flap its tail and submerge, thanks to some ancient prophecy about how a bloke on a helicopter will come to save us all. Oh, and this is packaged with an enviro-disaster of some sort, which is never really explained but gives the people back at Sinbad’s corporate headquarters something to do. As well as his cannon fodder team, he meets Loa, the beautiful daughter of a scientist who died on this island decades ago and left her to fend for herself. She helps him and adapts amazingly quickly to modern life, given her apparent complete lack of exposure to it – including helping him pilot a submersible to go and rescue the sunk tanker, which is in danger of rupturing and spilling its oil all over. There are some nice subplots here and there, but this film’s Wikipedia page is the place to go if you’d like a slightly too-detailed rundown of the plot. It’s full of holes and features a thoroughly confusing ending, but I’m surprised at how much I enjoyed this one (my wife’s alternate explanation is repeated exposure to the Asylum means my brain can’t process good entertainment any more). Patrick Muldoon deserves a bigger career than he’s had – if they ever made a film of the “Uncharted” computer game series he’d be perfect for the lead. Sadly, although I also loved “Ice Spiders”, not enough people did and it didn’t launch him into the wisecracking action hero stratosphere. I mentioned “The Odyssey”, but there’s the classic Ray Harryhausen films here too, as well as a hefty dollop of “Lost” (close to its end when this film was made). It’s got more in common with “Transmorphers” than “Sharknado”, is what I’m trying to get across. Anyway, Muldoon is a great leading man, there’s always something going on and this is definitely in the upper echelon of Asylum films. Do you really like the following things? If you do, and I mean really really like them, then…well, this still isn’t the film for you. There are presumably better films that feature all three of those things, or at least two? I’m trying to warn you here. Four psychology students decide to do some experiment based around the ganzfeld effect – basically, the brain fills in a lack of external stimulus (say, by staring at a blank screen, or wearing goggles / headphones) by hallucinating. Anyway, this has been used in parapsychological experiments, where people try and transmit pictures or images through the ether to the person whose senses are being deprived. Of course, no consistent results have ever been reported, because it’s all a load of rubbish, but that hasn’t stopped “researchers” from continuing to try, occasionally falsify their research, etc. So hot college students, stupid experiments, oh no we unleashed forces beyond our control, blah blah blah. There’s no point dignifying this garbage with much more explanation. Wasting more words on it would be a waste of my time, and of yours. And I care about you, dear reader, at least more than the makers of this film did. Not even Dominic Purcell, of “Prison Break” and an excellent actor, can save this rot. 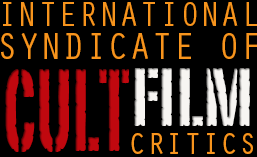 In what will hopefully become an ongoing feature here at the ISCFC, we’re going to do reviews of the films that have been banned by the British authorities down the years under the auspices of the Video Recordings Act of 1984 (hence “the VRAs”, not an award show sadly). Virtually all of them have since been released, often completely uncut, and every horror site in the world has done recaps of them. But I thought up a name that wasn’t “video nasties” for our season of reviews (although I’ll have to put that in the tags so people can find our reviews via searching). Links to reviews will follow underneath the picture, but if there’s something you want us to get to first (our approach being almost entirely random) then please leave a comment. 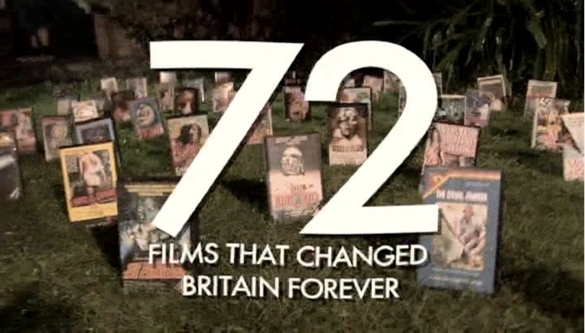 How many of those crappy crappy films have you seen? 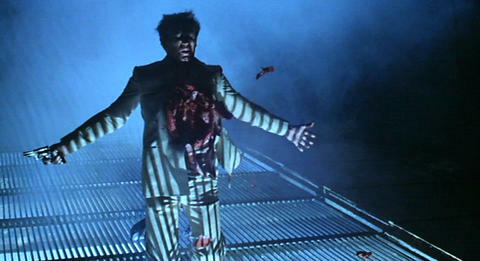 If ever there was a film which showed how stupid the whole video nasty thing was, it’s “Contamination”. After being caught by the Video Recordings Act and banned, it was later re-released, uncut, with a 15 certificate. Maybe it was one generation of film censors mocking the previous one? Anyway, I’d have been happy if this stayed banned everywhere in the world, forever. After seeing a helicopter fly round New York (it’s always a little sad seeing the World Trade Centre on film) we then cut to whatever Italian city they filmed this in. A deserted boat drifting into New York was used in “Zombie Flesh Eaters”, released around the same time, one of those weird bits of cinematic synchronicity. Or one of them ripped the other off, I’m not checking either way. 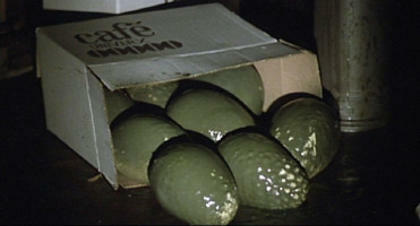 Anyway, the boat is full of boxes from some South American coffee place, but inside them all are weird green eggs- after killing most of the people who do the initial investigating, the ship is secured by some people who are like a special part of the Army, or the Government, or something. Anyway, they’re mainly represented by Colonel Stella Holmes, who has a bit of a flirtatious thing going with the sole survivor of the initial investigation, plucky New York cop Tony. Those of you with an eagle eye will have noticed “space”, and “weird exploding eggs” and will have thought of “Alien”. Well, give yourself a pat on the back, as this film was initially conceived as a cheap rip-off of “Alien”. When writer / director Luigi Cozzi realised the budget would be nowhere near enough, he decided to set it on Earth, so that’s what we have. Yay? It turns out that Ian and Hamilton, the other astronaut, saw something alien during their mission to Mars, but the top brass is hushing it up – oh, and Hamilton brought a seed back which grew into an alien “queen” which is producing eggs at a rather alarming rate. The South American coffee plantation from before comes into it, which means we get a seemingly endless scene of them getting on a plane, going there, messing about in their hotel, etc. It’s so slow! This film really feels like it’s from the 1950s. The ludicrous cheap rubber alien (SPOILERS! ), the way that Tony literally slaps some sense into Stella, or how she goes from Army colonel to simpering love interest as soon as there’s men around to do the actual heavy lifting of the film. Considering how much time is spent on them finding the right hotel room, a bit of information on how they got to Mars and back would have been nice? Ah, who cares. 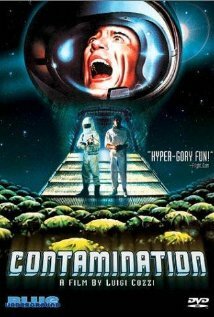 “Contamination” is another film that really ought to have been forgotten by history, and were it not for its inclusion in the video nasty list, it would have been. “Stupid and boring” is being kind to this one. One of many films we’ve reviewed here at the ISCFC that seems almost critic-proof – if you see that title, chances are you’ve made your mind up to watch it long before you’ve bothered finding out if it’s any good or not. 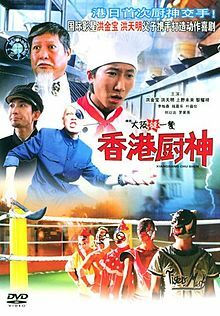 But for those of you who take a more careful approach to your Japanese / Hong Kong cooking-based wrestling movies, here goes. Timmy is a harried kitchen worker in a restaurant in Hong Kong, whose Dad dies and leaves him a ton of money. On one condition – he go to Japan, find his ne’er-do-well brother MIke and bring him back into the family fold. Mike is one of those happy chancers who’s hiding some deep dark pain, finding one of his few genuinely happy moments at the local Osaka Pro Wrestling show. This gives him an idea – a wrestling-themed restaurant, where there’s a ring in the middle of the floor and matches go on while you’re eating. Mike steals the money from Timmy and opens the restaurant without his permission, right across the road from the evil place where Timmy used to work. So, will they be a success? Will his old boss successfully sabotage him? How about the weird subplot about some disc with some secret stuff on it? This film stars some of the real stars of beloved (former) Japanese wrestling promotion Osaka Pro. It was home to the weird and wonderful before shutting its doors for good earlier this year, and its “ace” was Super Delfin, a high-flying masked guy. I always liked Ebessan myself, who was based on Ebisu, the Japanese god of good fortune. Anyway, their work is dotted throughout the film, and it’s good fun, and presumably was a good local advert for them all. But sadly, and I have a very high tolerance for these things, it wasn’t very good. On a boring film-y level, the subplot involving the disc was clearly something left in from an earlier draft of the script that they couldn’t be bothered with, meaning it’s a bit of a waste of time. And the acting is pretty rotten, with the wrestlers absolutely not being the worst offenders. On a “hey, let’s have fun and watch a silly film” way, it still manages not to work. The comedy is incredibly broad, sub-farce level stuff, and while I’m aware that a lot of comedy from that neck of the woods bases its laughs on cultural and language differences that we in the West wouldn’t necessarily understand, it didn’t make it any funnier. Even Sammo Hung as a restaurant critic realises it’s hardly worth bothering with, and doesn’t give the film much of a lift with his performance. And what’s worst, the wrestling’s not even that good! But seriously, I love oddball comedies, love pro wrestling, and am the absolute perfect audience for this film. But it’s like the people making it realised that a good film, with all the extra care and attention that would involve, would make them the exact same amount of money as a hastily thrown-together film like this, so decided trying was a waste of time. For an example of comedy from Hong Kong that works, Stephen Chow has been making hilarious films for decades – “God Of Cookery”, “Shaolin Soccer” and “Kung Fu Hustle” being particular favourites. So it’s not just a cultural thing, is the point I’m trying badly to make. Anyway, even if you’re in the market for a film like this, there are better choices out there. “But we don’t have a script, or any actors, or any talent”. 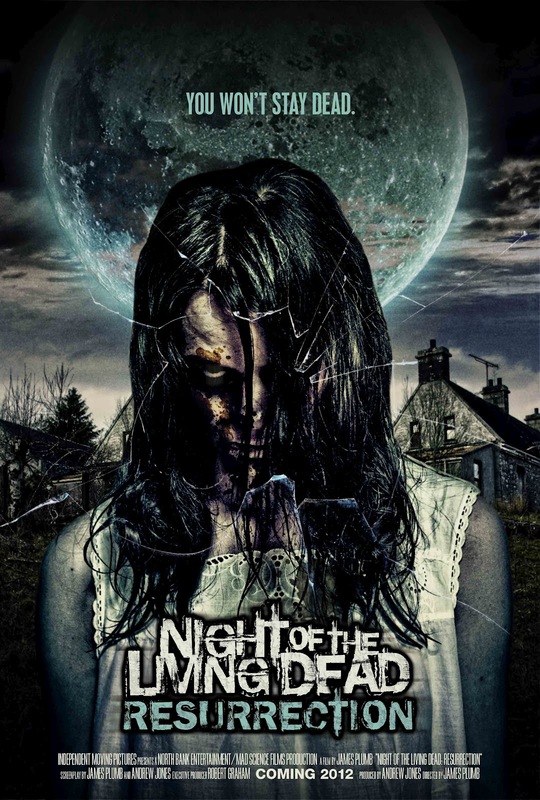 And so we are blessed with “Night Of The Living Dead: Resurrection”, a remake / reimagining of George Romero’s original zombie classic. I used “blessed” in the loosest possible sense, of course. We start off outside a Welsh corner shop, where a group of people clearly in their 20s have to ask a passing adult if he’ll go into the shop and buy them some beer. Blah blah blah zombies, so they all scatter to the four winds as who we think is the film’s real hero tries to help them out. He’s Ben, and he’s driving to find Barbara, despite society rapidly collapsing around him. There’s a rather nice touch here, which led me to believe this might not be a massive waste of my time. He calls and says “I’m coming to get you, Barbara” which is a reference to an early line in the 1968 film, and as he throws the phone down, we can see his contact photo is an early publicity still for it too. He’s also black, which is probably a callback to the original’s groundbreaking casting (or maybe it isn’t and I’m just oversensitive?). So, nice subtle touches, so far so good. 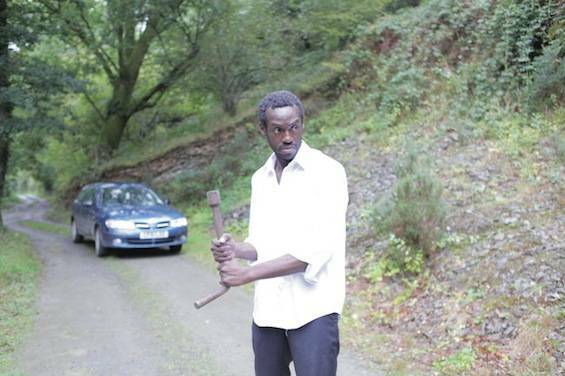 Then he spends three minutes of the film trying to steal some petrol from a car with some dead people in it. The film, not exactly speedy up to this point, grinds to a halt and it never really bothers starting up again. To get to the root of it, I’m going to have to spoiler it slightly, but nothing past the first 30 minutes. So, Ben is seen driving down deserted roads, and finds a farmhouse. He takes his petrol cannister…and the family inside the house shoot him. So long, Ben! Now, it might reasonably be said at this point “why the balls did we just spend all that time watching Ben do nothing if you were only going to kill him off?” but we’re all wasting our time here. So, we get the same old familar zombie movie beats, but with Welsh accents and the occasional “twist” to keep you guessing. There are some half-decent ideas in it, but buried under rotten acting and a budget of around zero. If you were thinking of watching this, almost certainly due to the title, don’t bother. Please. It’s not good, or especially bad, it’s just really really boring. By the end, I was desperate for the credits because it meant I could get on with organising my sock drawer. It’s really that “nothing” a film, and it seems these filmmakers have form with doing “sequels” to “Silent Night, Bloody Night” and “House on the Edge of the Park”. Shame on them, really. It’s nothing to do with actually making sequels to beloved old horror classics, but using titles that have apparently fallen into the public domain in order to rip off people who aren’t paying attention. It’s all so thoroughly depressing and pointless. I’ve been watching my sleeping dog for the past few minutes, and doing that was more entertaining than this. Avoid avoid avoid. Occasionally you can watch a film when you’re in the wrong mood and it seems somehow better than it actually is. Likely you catch this film when you’re fatigued, crashed out on the sofa and expectant that the magic box will entertain you as you lazily flick through the channels. You think to yourself “Oh, this movie starts at nine. ‘Devil’? Nice title. It must be a horror. Ok, I’ll watch that”. As I write this now I wonder whether I should re-watch ‘Devil’ and get a fresh perspective. My recollection feels hazy. I know I enjoyed this film, but I wonder if this was because I was so damn tired. It was on, and it gave me a light entertainment fix. Isn’t that enough? 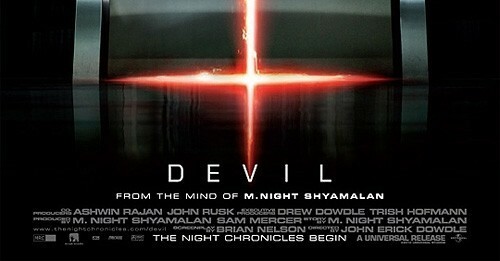 I’d not heard of ‘Devil’ before and therefore missed out on the trailers, or any buzz the film may have received. There’s a possibility also that it went the same way as any of the ‘Paranormal Activity’ films went, digested then shat from my memory bank. Perhaps I saw the trailer and then wiped it from my memory. So, ‘Devil’, a film that was completely new to me. I didn’t have the barrier of cynicism obscuring my judgement. I think this is another reason why I give the film two crooked thumbs up. ‘Devil’ contains one of my favourite cinema tropes – the ineffective security guard. As someone who has worked on and off in the security industry for the last five years I get perhaps a little over excited whenever I see a scene set in a CCTV room, or a static guard manning the reception desk of a corporate building, scratching his balls and looking dozy. Disappointingly the stereotype of a hopeless guard is accurate. The job zombifies you, turns you into a goon. There are several sub D-level actors in the main cast of ‘Devil’ including the funny looking fellow who everybody hates because he is married to the curvaceous red head lass from ‘Mad Men’. This is the kind of cast made up of actors who are usually background members, at best they only get to deliver a few lines. Each line is delivered with desperation, in a ‘this is my moment’ way. The obscurity of these actors fits well with the premise of five everyday random people who find themselves trapped in the lift of a corporate building. None of them have names, they are credited as salesman, guard, young woman, old woman and mechanic. Strangers thrown together who quickly get irritable. The concept of the film came from the frustrating mind of M. Night Shyamalan, a director who after the ‘Sixth Sense’ has consistently shot himself in the foot. You know what you’re going to get from a horror connected to Shyamalan, and that is usually an old school throw back tension builder. It’s obvious you won’t see the monster until the very end. In the case of ‘Devil’ it is more the threatening idea of the personification of evil which creates the scare. How Beelzebub might exist in human form. Given that a significant proportion of the film takes places in the cramped confines of a lift the film doesn’t feel claustrophobic. There is movement aplenty, and somehow the way the film is shot it gives the impression that the lift is spacious; contrast that to the effective use of space in tight thrillers like ‘Buried’ or 2012’s ‘Brake’. You see the five folk sweating and bickering but you don’t see them getting thirsty, hungry or wanting to go to the toilet. I suppose that’s not much of an issue when evil is in the air.